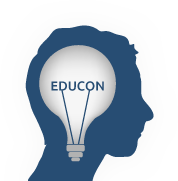 EduConcierge is the premier real-time customer support service provided exclusively for EduCon attendees. You can also ask a question or make a request by Tweeting an @reply to @educonphilly or by emailing rsnyder19@scienceleadership.org. Rebecca Snyder is a senior at SLA. She is excited to be part of the EduConcierge team as Head Concierge after four years of being involved! Becca loves the SLA community and is involved wherever possible. Becca has been involved in many programs whether it be soccer, managing sports teams, being an interviewer, or just a helpful hand around school. Becca is in the CTE digital video program, which gave her the opportunity to travel to Herzegovina for the Mediteran Film Festival and Croatia through the Four Rivers film festival. She has also been a SLAmbassador for two years, hosting a student from Germany and Poland. This program gave her opportunity to travel to Poland and participate in an international Model UN conference. Whenever Becca can, she loves to travel and be immersed in other cultures. This passion has brought her all over the world, most recently to Greece where she worked with refugees on the island of Lesvos. She also enjoys finding new places around the city to explore. Becca looks forward to helping you at Educon and hopes you enjoy your time there! Horace Ryans III is a young African-American student in the city of Philadelphia. He currently attends Science Leadership Academy as a sophomore. He is very involved in the improvement of his local school and the upbringing of his fellow student. Horace's passion for youth advocacy has allowed him to get more involved with local organizations in his community. He serves as the Philadelphia City Director or UrbEd, Inc working to bring quality and efficient urban education for all students. He also serves as the Youth Commissioner appointed by Councilman Bobby Henon Representing District 6 in the City of Philadelphia. SLA is Horace’s second home. He loves to play Ultimate Frisbee with his friends and even plays on the Varisity team for SLA. He loves to talk about SLA and share his personal experiences about his high school. EducCon is one of Horace’s favorite events to be apart of! He can’t wait to meet educators from across the country. He hopes to one day teach in the place he fought for, right here in Philadelphia! Elijah Lerner, an SLA Sophomore, is and Assistant Concierge and the Director of Presenter Services for EduConcierge. This is Eli’s second year on the EduConcierge team and is excited to help at this year’s Educon. He loves the SLA community and is ecstatic to keep participating in it. Eli loves to read and write and is enjoying his second year of SLA. His favorite subjects English 2 and Algebra 2. He is in the CTE Digital Video program and loves writing scripts. He enjoys traveling and takes every opportunity he can get. Eli hopes to explore the many other fields SLA offers to its students. Eli is thrilled to help you at this years Educon!